Today's lesson is Isaac & Rebekah. The chapter ends with the statement that Isaac loved Rebekah, so for today's project, I used the love theme! 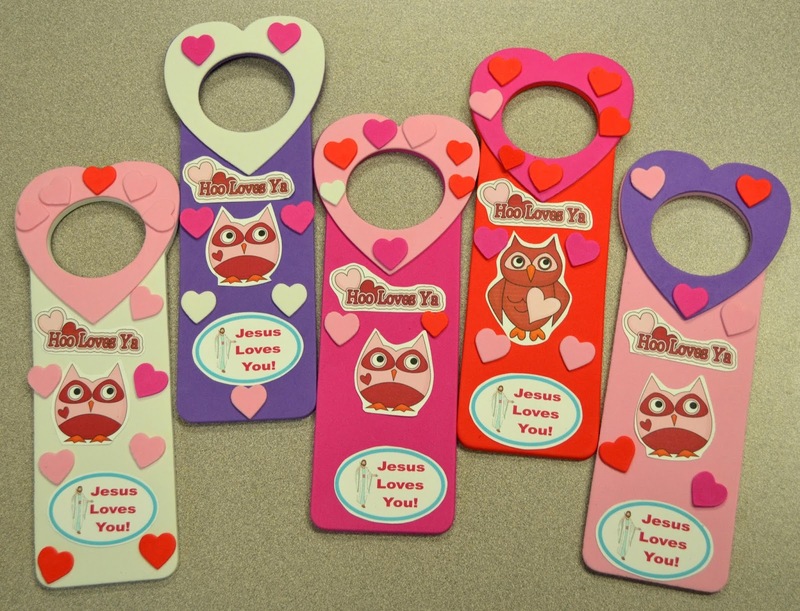 I purchased the foamy door hangers and printed the Jesus Loves Me! with the owls. We also added the small foamy hearts. They loved this project! And, it can be used for almost any lesson for almost any age! More info and the free downloads at the end of the lesson. 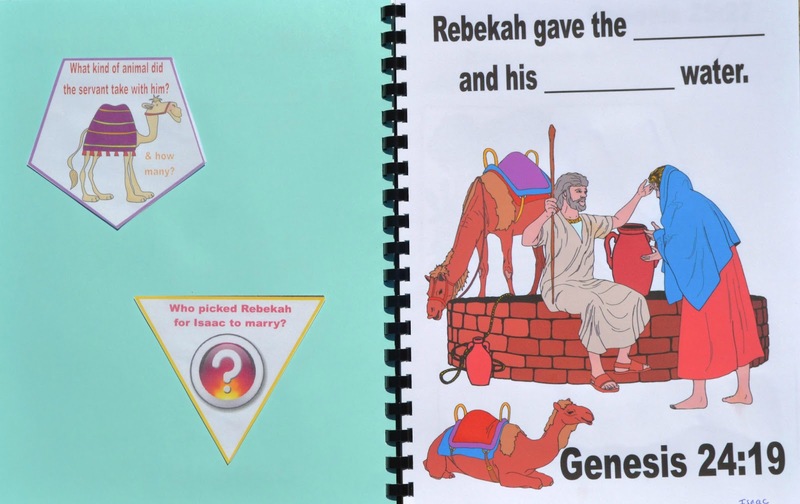 Review: Last week we learned about Abraham and his wife Sarah. They had a son named Isaac and God promised Abraham that his descendants would be so many; they would be like the stars in the sky and the sand on the seashore. Remember that Abraham was 100 years old when he had Isaac and Sarah laughed when she heard she’d be having a baby at 90! Well, God said she would, so she did! Lesson (found in Genesis 24): Sarah was 127 when she died. 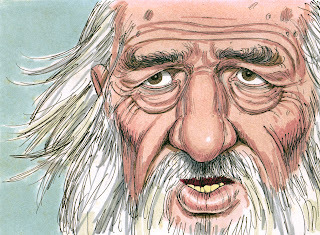 Abraham is old and tells his oldest servant that he wants him to “Please go to my country and from my family, find a wife for Isaac.” But the servant said that maybe she won’t want to follow me back to this land, so should I take Isaac with me? But Abraham told him not to take Isaac, but that he would find the right wife willing to travel back with him to be with Isaac. 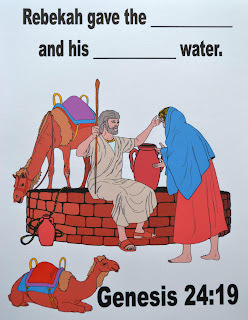 She poured the water into a trough for the camels and got enough water from the well for all his camels. Abraham’s servant kept quiet wondering if this was the right wife for Isaac. When the camels were finished drinking the water, he took a gold nose ring and 2 bracelets and gave them to her. He asked her about her family and asked if there was room where he could stay with her family. 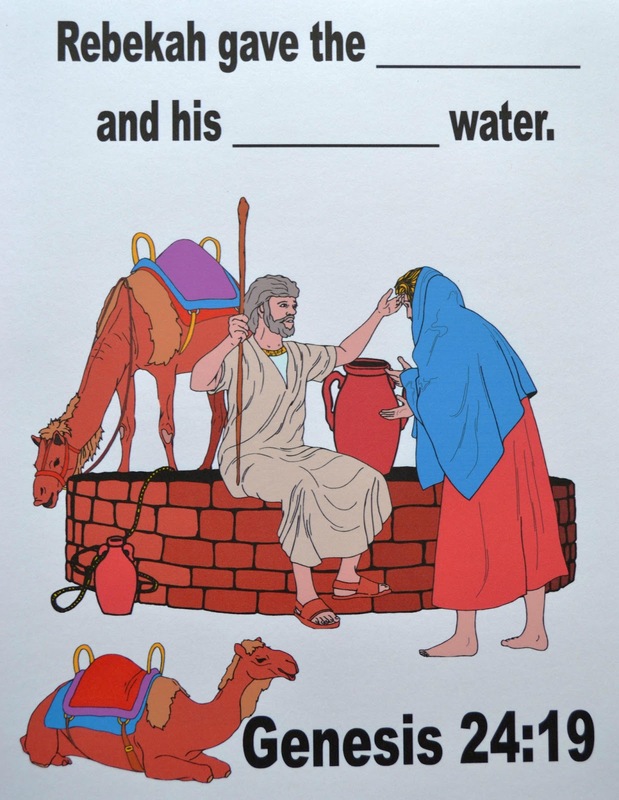 She told him who her father was and said that there was a room he could stay in and enough straw for the camels. He bowed his head and said a prayer to God thanking Him for showing him the right woman. They took care of the camels and washed the servant’s feet and gave them food. But Abraham’s servant said “I can’t eat until I tell you why I am here. I am Abraham’s servant. He is very wealthy. 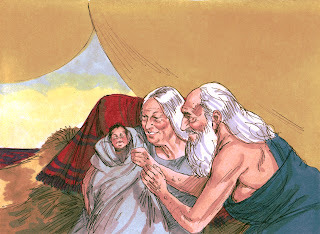 He had a son when he was very old and I was sent here to find a wife for his son Isaac. When your sister did the things that I was waiting for, I knew she was the woman that God thinks is the right one for Isaac.” Laban told Abrahams servant "This is from God, so take Rebekah and go back home. She will be Isaac’s wife as God wants." 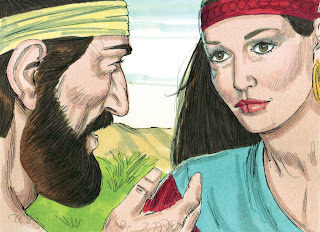 Abraham’s servant took out jewelry made from silver and gold to give to Rebekah. He also gave her clothing. He also gave gifts to her mother and brother. But Rebekah’s mom wanted her to stay home, at least 10 days before she left. The servant said they really needed to leave. They asked Rebekah and she said she’d leave right away. She took her nurse and maids with her. I handed out necklaces/bracelets I purchased here. Isaac went into the fields to think in the evening. When he looked up, he saw camels coming. 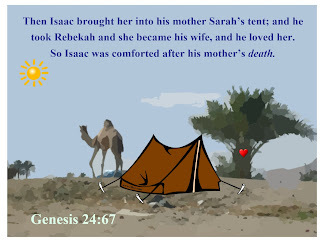 Rebekah saw Isaac and got off the camel. She asked the servant who he was and when she found out it was Isaac, she pulled a veil over her face. The servant told Isaac where he had been and everything that had happened. Isaac married her and he loved her. Our craft today is door hangers! I purchased these heart foam door hangers at hobby Lobby. 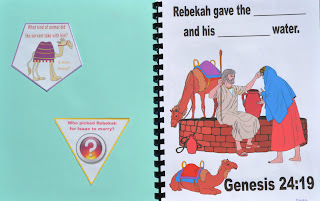 I wanted to use the Isaac loved Rebekah for the lesson, and the Jesus loves us for the general theme. I printed the owls, Hoo Loves You?, and the Jesus Loves You!. I cut them out and put them through my sticker maker. I let the kids add some small foamy hearts and they loved it! There was only room for one owl, so we used the boy/girl owl and let them pick that way. You can print what you need, except for the hearts, in the following downloads. There is also a door hanger pattern if you want to print onto cardstock to make yours. The first one is for one student. This download is enough for 10 students. I love how this story is a picture of Jesus and his bride, the Church. The Father (God) sends his most trusted (The Holy Spirit) to ask the girl (us) if she is willing. In the meantime Isaac (Jesus) is in His Father's house preparing for us. The old Testament always points to the New. This is AWESOME! What a terrific resource. The fact that you are able to keep providing these kind of lessons and activities is a true gift. Praise the Lord. Thanks so much for linking up with me last week! Thanks so much for visiting! I appreciate the super nice comment! Thank you! I appreciate you stopping by and thanks for the nice comment!